TWO CHINESE J-11 fighter aircraft crossed the median line of the Taiwan Straits at 11 AM yesterday morning, provoking strong reactions from within Taiwan and prompting the Taiwanese air force to mobilize five fighter planes in response. 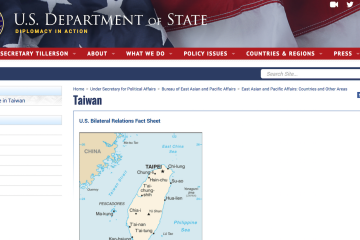 The incident was a break from precedent, seeing as while Chinese regularly fields planes in the Taiwan Straits, sometimes leading the Taiwanese air force to also deploy fighter planes in response, they do not usually cross the median line of the Taiwan Straits. As such, the incident represents a significant escalation of routine Chinese military threats against Taiwan. It is, however, a greater question as to what China intended to accomplish through the show of force. Some have suggested that China was attempting to threaten Taiwan ahead of a request submitted by Taiwan to purchase F-16V multirole fighter jets from America. Likewise, one notes that on March 30th, China made a similar move against Japan, sending a total of eight planes through the Miyako Straits as part of a military exercise. Indeed, if the incident was part of broader shows of force against American allies in the Asia Pacific, it is possible that Chinese signaling is not actually directed at Taiwan or Japan, but primarily at America. 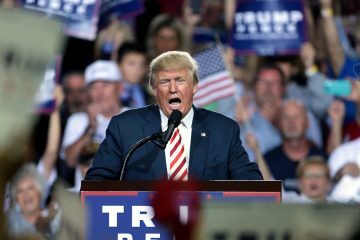 This may be an escalation tactic in anticipation of trade talks between the US and China aimed at resolving the present trade war, anticipated to eventually take place, but progress toward which has been slow over past months. To this extent, American shows of force against China in past months, such as sailing warships through the Taiwan Straits, may be another contributing factor. Significantly, if China were to retaliate against America following such shows of force, in the absence of any more direct targets, it would most likely be American client states such as Taiwan or Japan which become proxy targets. This one key reason why uncritically celebrating American military displays against China, as has taken place quite often in Taiwan in past months, fails to grasp any of the potential repercussions for smaller countries caught between the two superpowers because of political jockeying between the two. On the other hand, it would not be unsurprising China is seeking to influence the course of Taiwanese domestic politics through military threats. This would be nothing new for Taiwan, with the escalation of Chinese military threats regularly occurring before key elections going back decades, for more or less the entire existence of Taiwanese democracy in the post-authoritarian period. 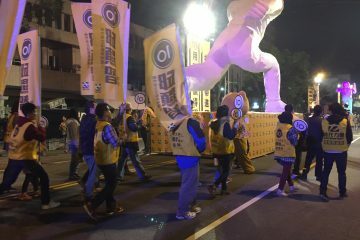 If this is the case, China would be attempting to prop up its preferred candidates by attempting to generate the perception that these candidates can bring economic and political benefits to Taiwan while any other candidates would cause the military annihilation of Taiwan at Chinese hands. This would more or less an attempt to alternate between a velvet glove and an iron fist. One has observed a similar strategy adopted by the Chinese Communist Party in all of China’s “separatist” territories or countries. This can be observed in large-scale economic incentives provided to Taiwan, Hong Kong, Tibet, and Xinjiang at the same time as China attempts carries out actions such as the kidnapping and arrest of political dissidents, large-scale domestic military rallies, or makes military threats from without, at least in the case of Taiwan, which remains de facto independent of China. In the case of 2020 elections, it may be that China is ramping up military threats against Tsai Ing-wen and the DPP government, then. 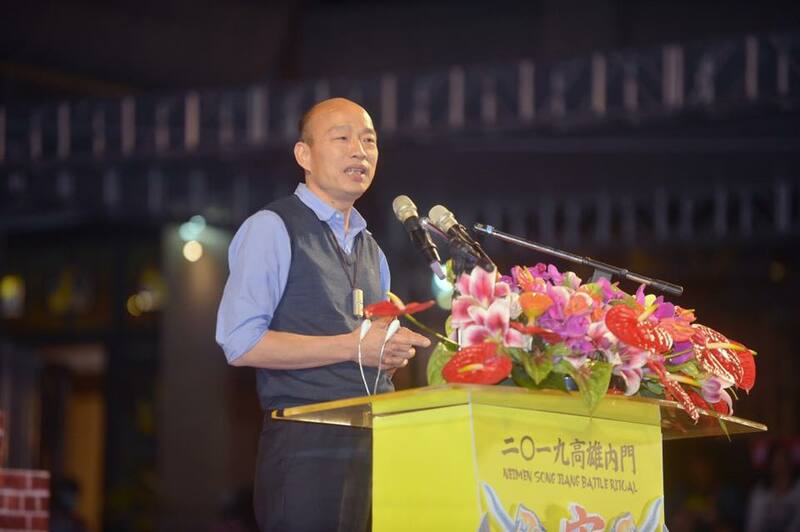 With Kaohsiung mayor Han Kuo-yu having recently embarked on a trip through China and Chinese controlled territories such as Hong Kong and Macau, bringing back lucrative trade deals for Kaohsiung during his trip, China may be attempting to prop up Han as their preferred candidate. As such, China may be attempting to make it appear as though only Han can bring economic benefits back to Taiwan from China, while also reminding of Chinese military threats if Taiwan were to go with any other candidate. Alternatively, China may be attempting to build up support for the notion currently proposed by the KMT of signing a peace treaty with China in order to end the Chinese Civil War if it recaptures the presidency. 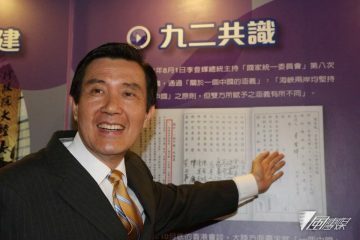 It is feared by many pro-Taiwan political actors that the KMT would attempt to use this peace treaty as a means of signing away Taiwan’s political freedoms, seeing as while such concerns have been raised regarding free trade deals signed between Taiwan and China, a peace treaty between the ROC and PRC would supersede any trade deal by many orders of magnitude. 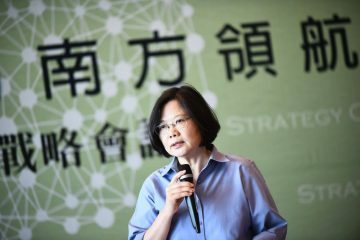 Nevertheless, one should also keep firmly in mind the strong response by the Taiwanese public against a January 2nd speech by Xi Jinping in which Xi reminded that the threat of force was still on the table against Taiwan, after which the Taiwanese public rallying behind president Tsai Ing-wen. 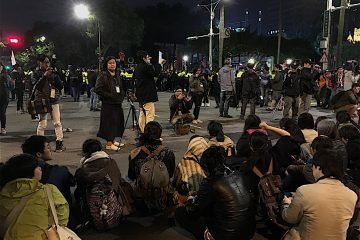 Xi’s speech seemed to have backfired against KMT candidates in particular, with KMT politicians forced to temporarily back down from advocating a peace treaty between Taiwan and China until sufficient time had passed, so that the incident was no longer so fresh in the memory of the public. 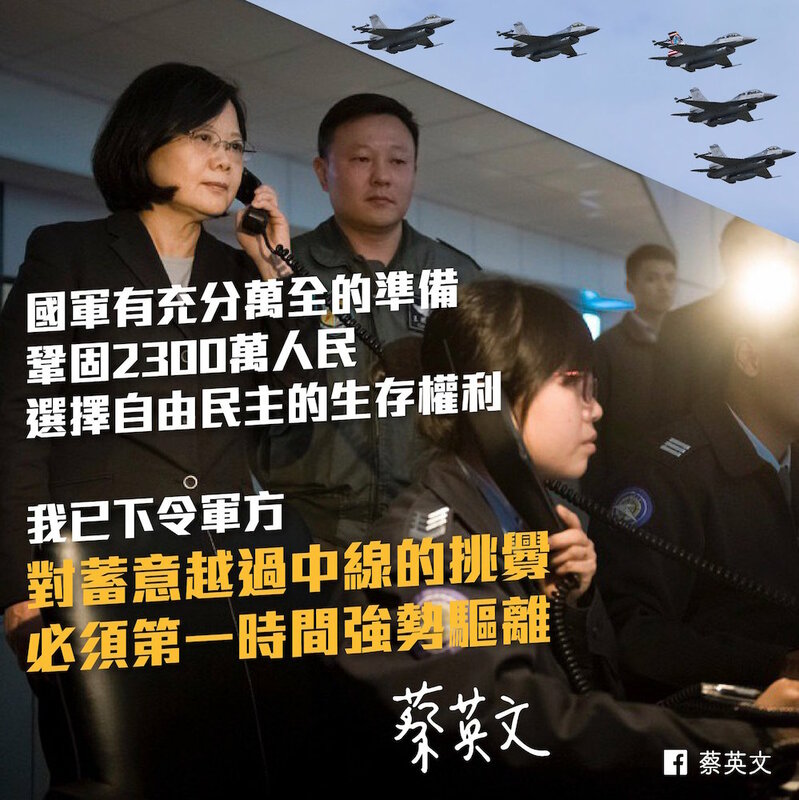 In this light, it is also possible that if China sending aircraft through the median line of the Taiwan Straits is the sign that China intends to escalate military threats against Taiwan, this may actually backfire for China in the long-run, with such threats leading to the consolidation of support for the DPP.